Sweet! 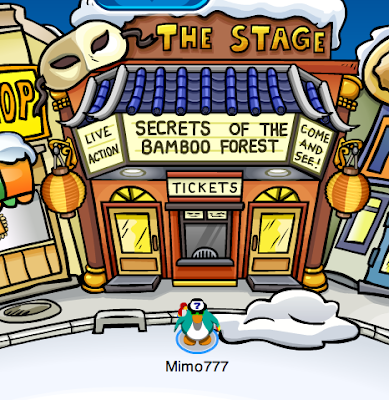 Check out the play, Secrets of the Bamboo Forest at the Stage! 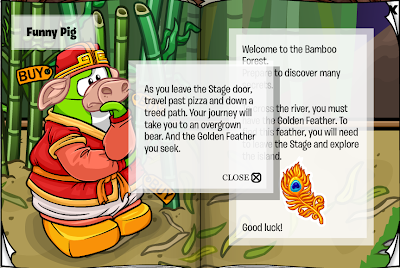 When you get the Feather Pin that is at the Mine, return to the Stage and the Gold Feather will glow. (If it doesn't already) A wooden bridge will appear and you will be able to cross the river. Cool! In the catalog you WON"T get any cheats! Wassup wit dat? for some reason when members go to the chair thing in the stage you get a free phoenix backround thing. Hey, just a thing you haven't included. 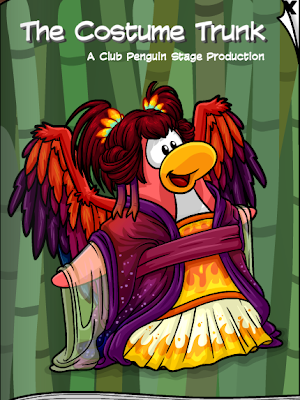 On the last page of the stage catalog there is a new 'magical crown' to replace the gold feather crown from last time around. The last crown had the older feather pin in it, where as this time the new crown has the new feather pin in it. Nobody has mentioned this. Why do they call it the Bamboo Forest? 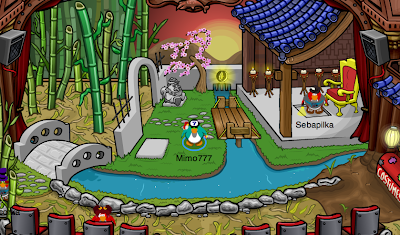 it's weird lately not even in shadow guy and gamma gal have club penguin have cheats in the catalog strange huh? did you notice the switchbox 3000 is missing! 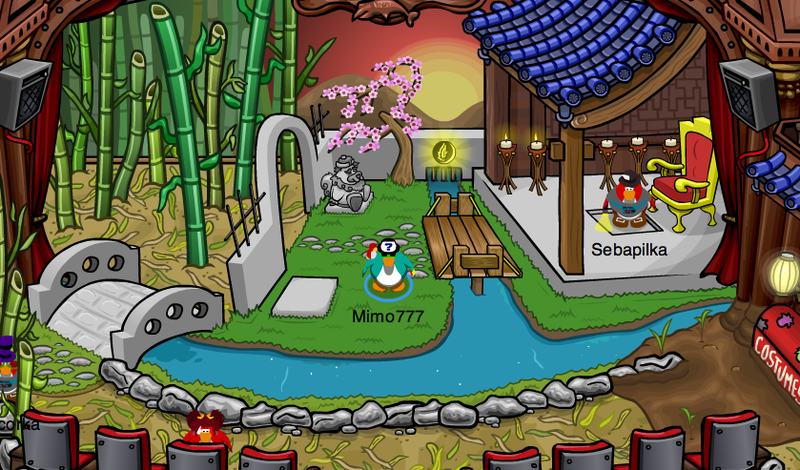 -----------------------------------Because its a forest of bamboo. i saw a yellow pufffle on a boat go by at around 7:45 pacific time. cool i must search for it thnx for telling us so we can search for it at that time! It is! Nice find! Waddle on!